I’ve been the active user of social networks before they called it social network, as did many people that dare to call themselves power-users of the internet. In all these years, I wrote thousands of status updates (or however they called them) and read probably hundreds of thousands more, but if you ask me to tell you what I learned from this massive amount of data I consumed, I’ll have to say: nothing. One big fat zero. That’s the value of hundreds of thousands of status updates day after they were posted and that’s the biggest problem today’s social networks have to face. If we look at the more primitive social networks, ghosts of the past that are still lurking in the shadows of the internet – forums, you will see they are pretty much the same thing as social networks with one big difference – they provide value! This is the only reason why Facebook, Twitter and their clones didn’t destroy forums. Not to digress to much, you can read here about forums and social networks comparison. Why don’t users bring valuable content on Facebook and Twitter? It’s not because they have no way of doing it. They have a great way to post really any kind of content on Facebook. They can use notes to write extensive “blog posts”, add video, pictures, tag people, link to profiles and make content very valuable and interactive. Have limited audience. They are sharing their valuable content to group of their friends. When I write a super good article, I don’t want my friends to read it, I need my targeted audience to read it or that content brings no value to me. Lack the motivation. Everything on Facebook is built to make you as lazy as possible. I bet non-power-users of Facebook have no idea how to write a note, and these that actually do know, use it for chain letter purposes. Facebook simply doesn’t encourage creating valuable content. Pity. 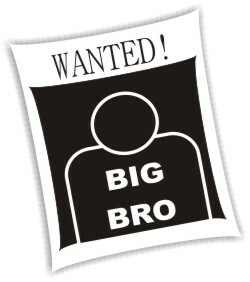 Where is the big brother? Another problem is obvious absence of a big brother figure. When you come to a professional forum and start writing stupid stuff or start a chain letter, there will be a big fat moderator or administrator who will smite you like a little worm. There is no one to smash the trolls, to delete the useless content, to filter the good and wrong, to encourage creation of value on Facebook and similar networks. Due to it’s audience being a bit older and possibly more tech savvy, Twitter brings a bit more value then Facebook but also desperately lacks the big brother figure. Twitter is also just a messenger, you can’t build valuable content on it, you can just point to it. I believe the first social network that solves the problem of absence of valuable content or introduces the big brother figures might be the next big thing.